There are two types of cards that are hard for me: sympathy cards and masculine cards. But when I saw the Memory Box Row of Poppies, I thought it would make a perfect sympathy card. I started with a stitched rectangle die cut from MFT Blueprint 13. I used the Memory Box Textured Mesh stencil and sponged some Broken China over just a small section of the layer. I die-cut the row of poppies out of watercolor paper and used my Copics to color them. 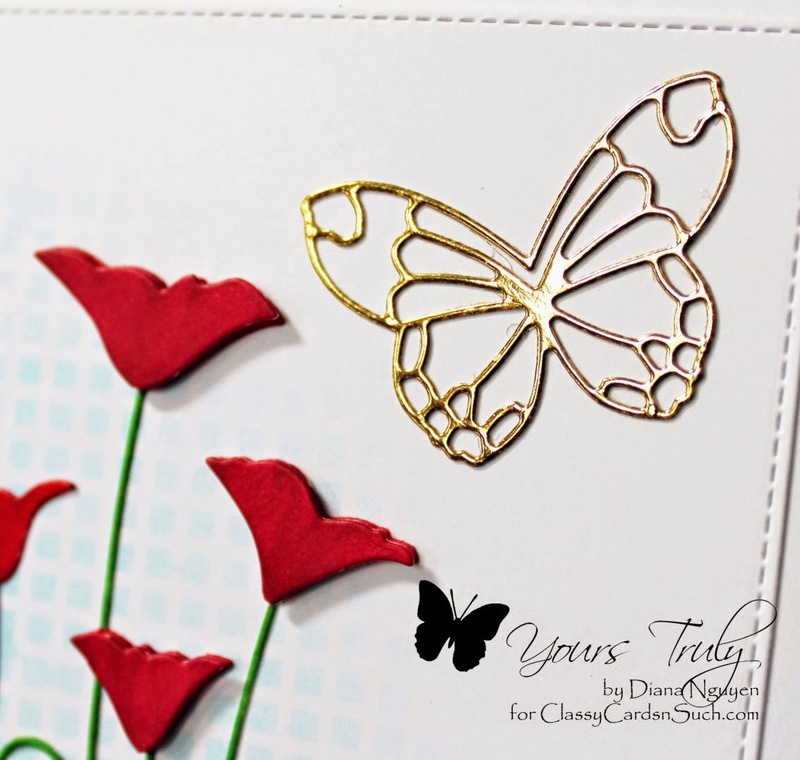 I added a PoppyStamps Delaney Butterfly cut from gold SB Precious Metals Craft Foil. I added a double bow made with Bow-Easy, a sympathy tag from ODBD Mini Tag Sentiments and Dies as well as a gold cross. 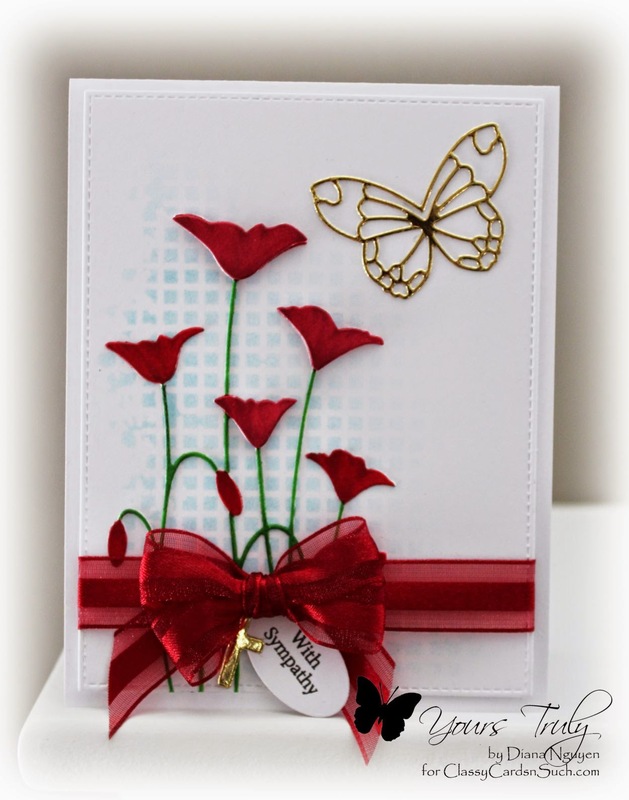 The card was still a little flat to me so I die cut and colored some of the poppies and popped up three of the blooms with small Joy! foam pads. A little dimension can go a long way! I like the textured aqua background -- makes it pop a LOT more.